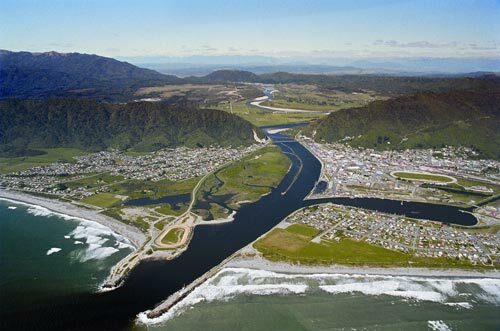 Situated at the mouth of the Grey River/Māwheranui, Greymouth is the largest town and port on the West Coast. Cobden, on the north (left) side, is the largest suburb. For many years parts of Greymouth were regularly submerged when the river flooded, but this has greatly improved since a major flood wall was built.